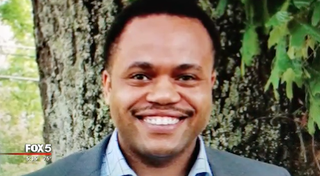 Atlanta police are searching for a doctor working for the Centers for Disease Control and Prevention who disappeared last week without a trace. Timothy Cunningham, a 35-year-old alumnus of Morehouse and Harvard, was recently promoted to commander under the U.S. Health Service Corps at the CDC, people close to him told Fox 5 Atlanta. Cunningham was reportedly last seen on Monday, Feb. 12. He had come in to work that day but left early after telling supervisors he was feeling sick and was going to finish his work from home. After that day, Cunningham was nowhere to be found. Strangely, his wallet, phone and SUV were left at his house. Cunningham’s family told WXIA-TV that they have a rule about being in touch with one family member at all times—for Timothy, that was usually his sister. The last time they spoke, she told the outlet, was Monday. Timothy’s brother, Anterio Cunningham, told Fox 5 that he suspects something has happened, considering how long his brother’s been gone. “Not having his phone, leaving his dog, Bo, alone, he just wouldn’t voluntarily check out like that,” he said. Cunningham’s family posted signs of him around their neighborhood this weekend. His loved ones hope that someone will recognize him, and are holding out hope that he may be checked into a hospital as a John Doe. Atlanta police are asking for anyone with information about Cunningham’s whereabouts to call 911 or the Atlanta Police Department’s Adult Missing Persons Unit at 404-546-4253.